The great thing about a hosted trip is exceptional fishing at a top-notch lodge—but also combining that action with valuable lessons from a seasoned professional. And the only thing better than having one professional host is having two! Join Joe Mahler and Drew Chicone at Abaco Lodge for 5 nights and 4 days of bonefishing on the pristine flats of Abaco. Joe is one of America’s best casting instructors, and he will have you throwing tight loops into ocean breezes in no time, while Drew will help ensure that the fly you’re delivering with those improved casting skills is as “fishy” as possible. There are only 10 spots available for each week long session, and several of them are already spoken for. 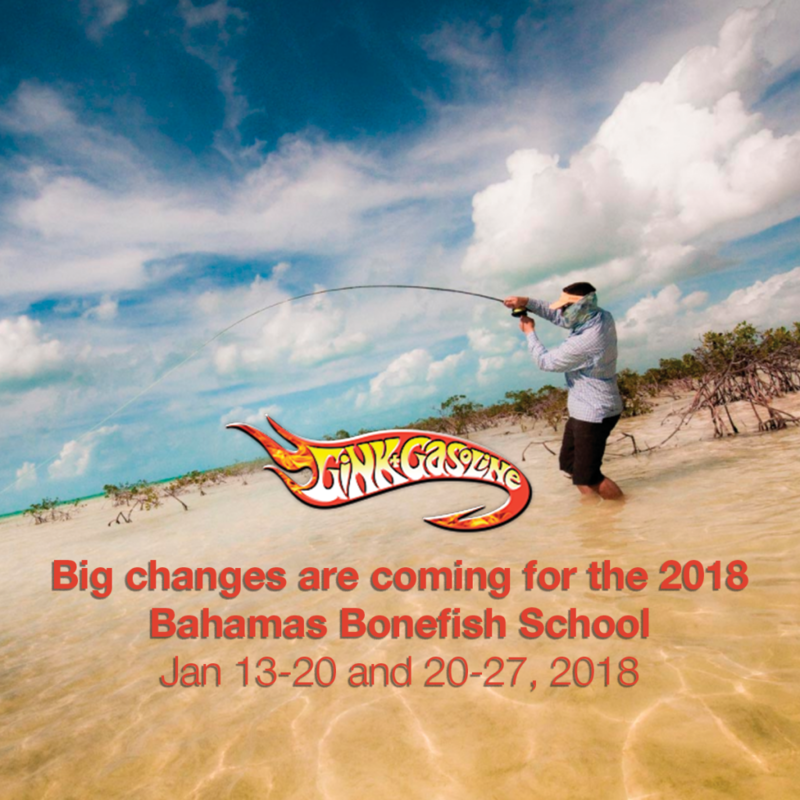 Strip-Strike schools are held in locations that offer a combination of great fly fishing and a setting that is conducive to learning and perfecting essential fly fishing skills in the most enjoyable way, conditions that Abaco lodge can easily cope with. Joe Mahler is one of America’s leading casting instructors as well as an author and illustrator. He resides in Fort Myers, Florida. His work appears in Fly Fisherman Magazine, Salt Water Sportsman, Outdoor life and other publications. Joe is also the author and illustrator of “Essential Knots & Rigs for Trout” and “Essential Knots & Rigs for Salt Water” (Stackpole Books). You have seen Joe casting away in national television commercials for Bass Pro Shops, Tracker and Mako Boats. Drew Chicone is an author, award-winning outdoor writer, fly designer, photographer, lecturer, and materials expert, whose passion for teaching the art of fly tying has inspired numerous how-to articles, books, and detailed instructional guides. He has lived and breathed the sport since he was tall enough to sit at the vise. His fly creations are well known and in high demand among saltwater anglers and guides across the globe. Drew has been an FFF Certified Casting Instructor and commercial fly tyer for more than a decade. He is a signature fly designer for Umpqua and his patterns are sold in quality fly shops and have appeared in both US and international publications. In 2012, Drew partnered with Stackpole books to publish: Feather Brain – Developing, Testing & Improving Saltwater Fly Patterns.Other Chicone titles include: Baby Tarpon Flies, Redfish Flies, Snook Flies, Essential Bonefish Flies – Andros, and Essential Permit Patterns. He is the winner of the 2016 IFTD Best in Show, Saltwater Fly Pattern award, and the 2014 IFTD Iron Fly. Drew is the creator of Salty Fly Tying, co-creator of Strip Strike University, contributing writer for Patagonia, and a member of the Outdoor Writers Association of America as well as numerous pro teams. Spaces are limited, sign up now to avoid missing out on this chance to take your flats fishing skills to the next level!